A group of Okinawan music aficionados has succeeded in reproducing “uzagaku,” a traditional Okinawan court music that was lost after the collapse of the Ryukyu Kingdom. A 13-song album featuring the music has been released this year, and the group has been touring extensively, with plans to hit Kyushu in November. 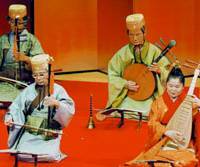 A classical music form originally descended from China, uzagaku features both Chinese singing and instrumental pieces. 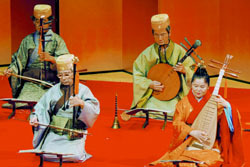 Many of the traditional instruments were destroyed during the Battle of Okinawa. A study group involved in the restoration of uzagaku hunted down the remaining instruments throughout Japan, and spent more than 10 years reproducing them.